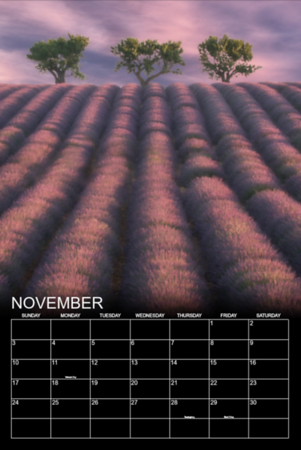 18” x 12” fine art high quality calendar for $40.00, includes FREE shipping within the United States. 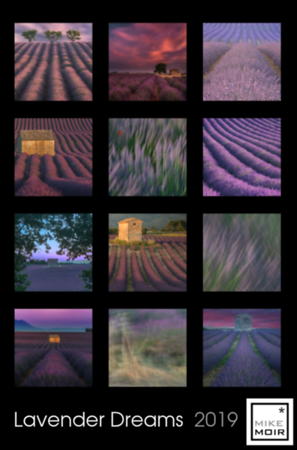 This is the perfect gift for you, your loved ones, and your home & office space with a whole years worth of beautiful and immersive Lavender photos to relax and enjoy. All Calendars will ship the second week in December so you will have it in time for the holidays. Only available for a limited time, feel free to contact me with any questions. 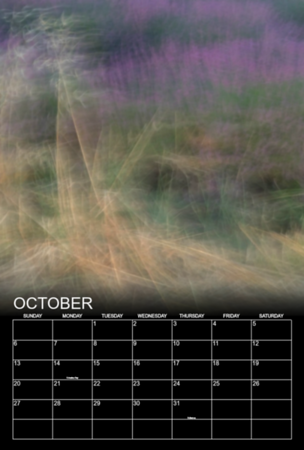 * Calendar sized 18" x 12"